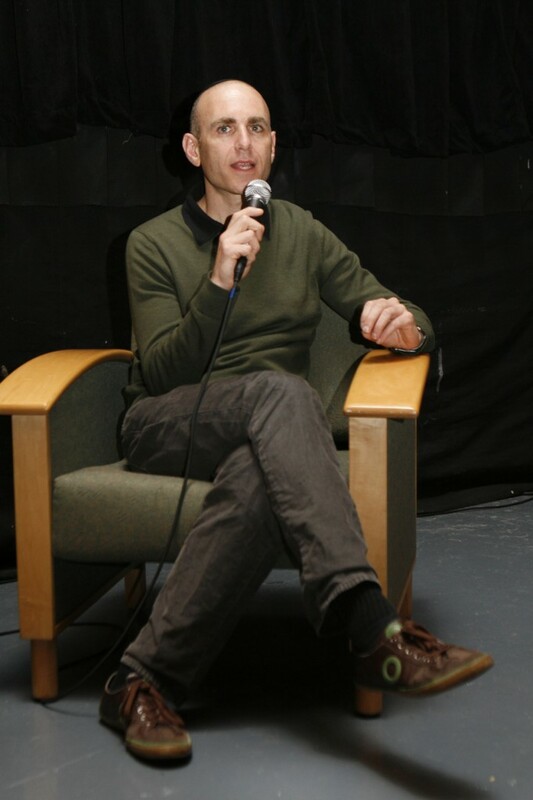 On February 16, Yeshiva University hosted a special screening of “Footnote,” the thought-provoking Israeli film that has created so much Oscar buzz, followed by a rare behind-the-scenes discussion with director Joseph Cedar. 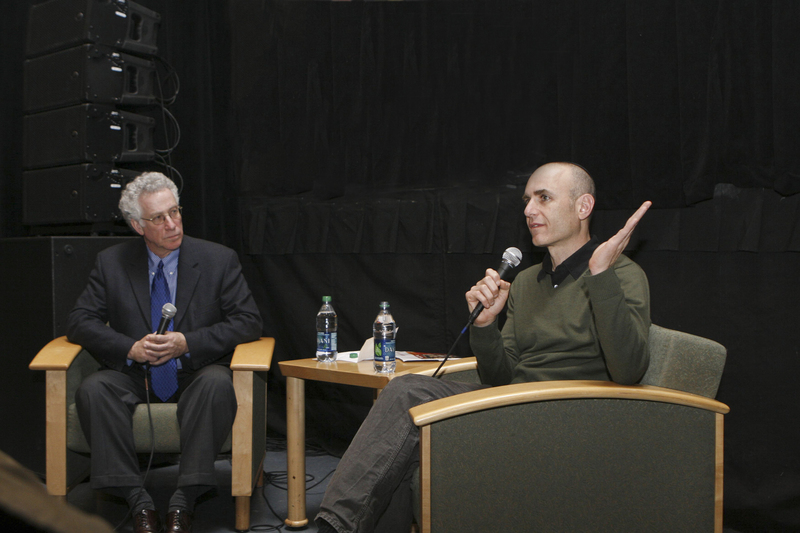 "Footnote" Director Joseph Cedar, at right, with Dr. Eric Goldman, answered questions from the audience following the Feb. 16 screening. The film, scheduled for theatrical release in mid-March, explores the lives of father and son Talmudic scholars who find themselves in competition with each other. It won “Best Screenplay” at Cannes, “Best Picture” at the Ophir Awards and is nominated for “Best Foreign Language Film” at this year’s Academy Awards. Members of the YU community flooded the Beren Campus’s Schottenstein Cultural Center for a sneak preview of the movie as part of the YU Ring Family Film Festival, titled “A Lens on Israel: A Society through its Cinema.” The four-part festival is supplemented by a variety of lectures, workshops and open forums with leading Israeli actors, writers, producers and directors. After the screening of “Footnote,” Cedar joined Goldman onstage for a frank question-and-answer session with the audience. Cedar shared his inspiration for the film and addressed curiosity about the characters’ resemblance to real people. He also spoke about his own relationship with the sacred text at the heart of “Footnote” and its influence on his writing process. Cedar's "Footnote" is nominated for "Best Foreign Language Film" at the upcoming Academy Awards.